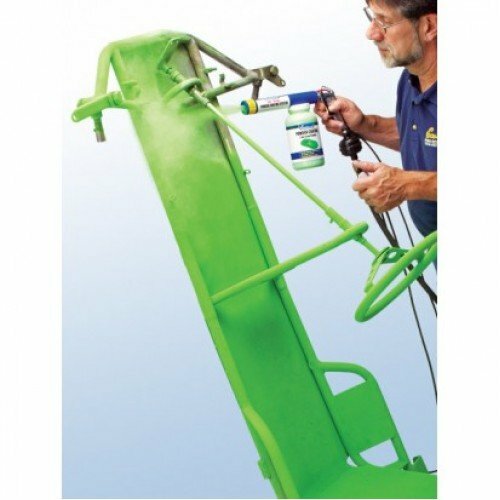 Dual-Voltage HotCoat Powder-Coating Gun gives you the most complete coverage from tight areas to large surfaces. This innovative system will allow you to achieve the benefits of powder coating small parts instead of coating them with paint. The new Dual Voltage system gives you the capability to coat small areas using the Low 15kv setting. Or coat large areas using the High voltage setting 25kv. All you need is a compressed air source (5-10 PSI from a portable tank with a regulator or a compressor) and an electric oven or toaster oven. 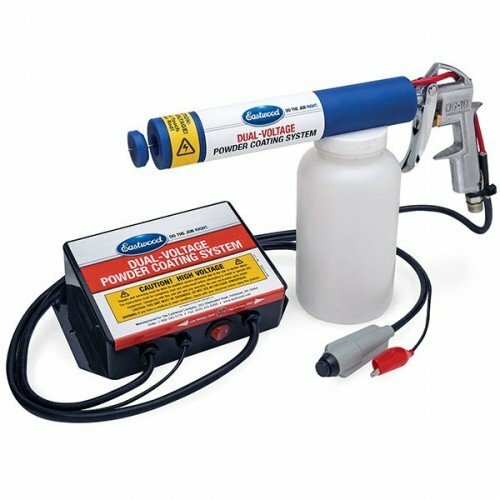 Includes the Dual-Voltage HotCoat Powder Coating Gun, dual-voltage power supply, activation switch, ground clamp and cable, and an empty 8-oz. bottle.